I researched this over and over. Everyone said that if you need a very tough finish to use polyurathane. We have three dogs, like to have parties and I cannot for anything get my husband to take his shoes off. I think we are a prime candidate to use polyurathane! But looking at pictures, it isnt the look I want. I would hate to cover up that beautiful floor with a layer of “plastic”. I also dislike shiny floors. These are the things that made me think polyurathane might not be what I wanted, but what final deal was learning how to repair scratched in a poly floor…..you resand! NO WAY!!! We decided that going back to wax was the way to go. It is easy to apply ( we already had a buffer anyways) and touch ups are easy. It is also a low luster, and doesn’t take away from the grain of natural beauty of the floor. It may not be a durable, but it is fixable!! We went with Minwax Dark floor paste wax. It worked great and made the floors look amazing! I got on my hands and knees and rubbed it in (pretty thickly) with an old t-shirt. Then Jack waited a half hour and buffed it going once against the grain and then with the grain. 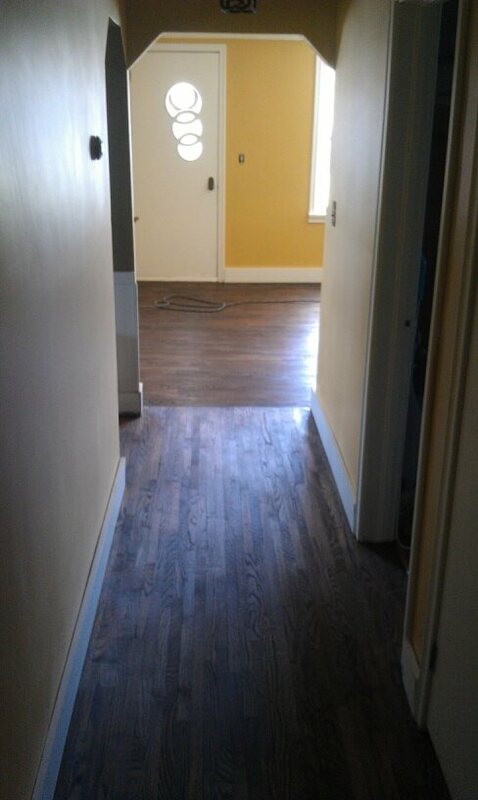 You can see here the living room is waxed but the hallway isn’t. Such a big difference! So that is it! We now have new floors!! I love them! 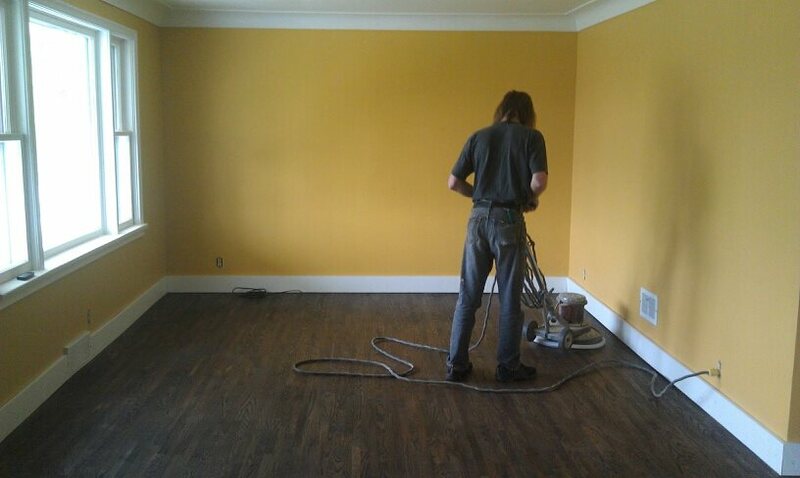 I hope this helps you when deciding to DIY your own hardwood floors. Finding the right way to do it isn’t always possible online because everyone is different and every floor is different.